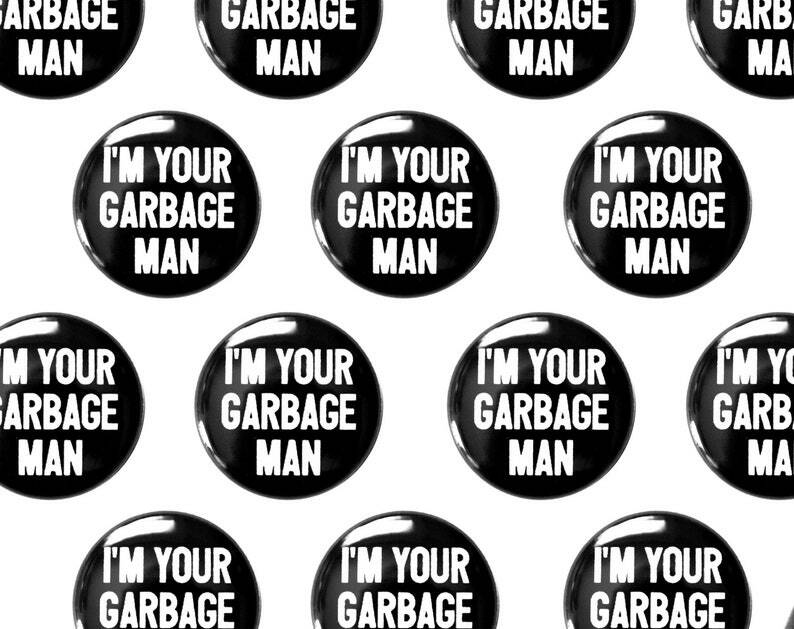 Here's a 1" pinback button that reads I'm Your Garbage Man. This listing is for one (1) button. Creep me on Instagram and tag me in your Dumb Junk photos! Came quick and looks great! I take Paypal and credit cards via Direct Checkout only. I also accept Etsy gift certificates. Please shop with care and ask questions prior to purchase, as all sales are final. If your item arrives damaged, please contact me so I can make it right. Domestic shipping is calculated directly through Etsy with tracking numbers provided. INTERNATIONAL BUYERS: International buyers are responsible for all VAT, import fees and taxes imposed by their country. Due to the ever-changing rates regarding International shipping, by default, all orders are calculated through Etsy. All pinstriping is done by hand with high quality professional grade lettering enamels. Copyright is not transferable with sale. Images may not be reproduced or reprinted without the artist's sole permission.